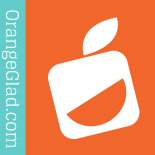 Orange Glad is a gourmet dessert gift you receive in your mailbox each month! You get delectable treats to try from a variety of individual artisan bakers. Baking Betty's had two items in this month's box. The Peanut Butter Cup Cookie and the S'more Cookie. The peanut butter cup cookie was very moist and full of peanut flavor. The only problem was it was so small compared to the S'more cookie and it was gone too soon. The S'more cookie was very flavorful with graham crackers, chocolate chips and marshmallows on top. Very moist and tasty cookies. These both were recommend to be eaten right away, so I did! Fine Sconehenge Baking Company sent Gluten-Free Ultimate Brownie. No way you would know this was gluten free by taste! Very flavorful, moist with a definite dark chocolate taste. Very rich brownie flavor. Perfect, satisfying size as well! Welch Cakes sent Orange Cranberry Welch Cakes. These originated from Wales and the cake is a cross between a cookie, a scone, and a pancake. Recommended to enjoy within a week of receiving. Finally I received from Cici's Italian Butterhorns, 2 butterhorn cookie. They have a light, buttery dough and is filled with cinnamon and sugar. These are great for a sugary treat without too much indulgence. What does Orange Glad have in store for June? Get your subscription box HERE and find out soon! Isn't it great that we can order dessert online for just $15 a box plus S&H, and monthly receive a taste of bakery goods.